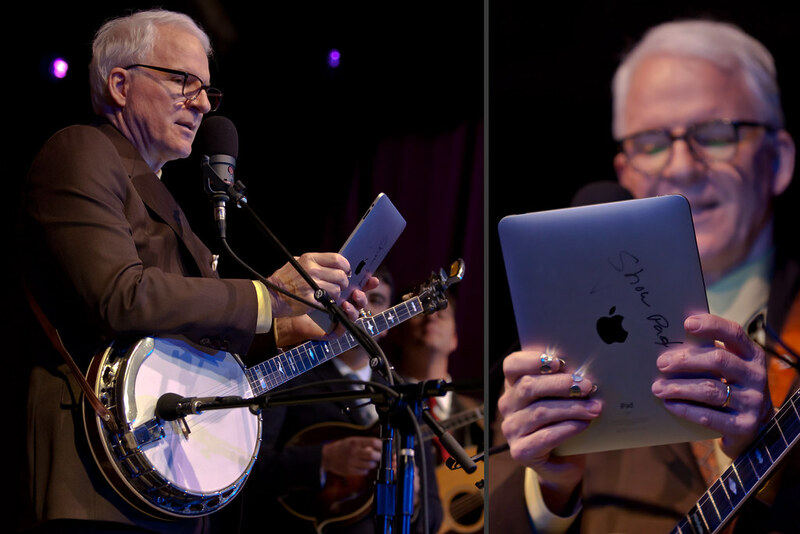 Did you know that Steve Martin is a Grammy award-winning banjo player? Turns out he's something of a renaissance man (actor, novelist, screenplay writer, and, yes, banjo-player). 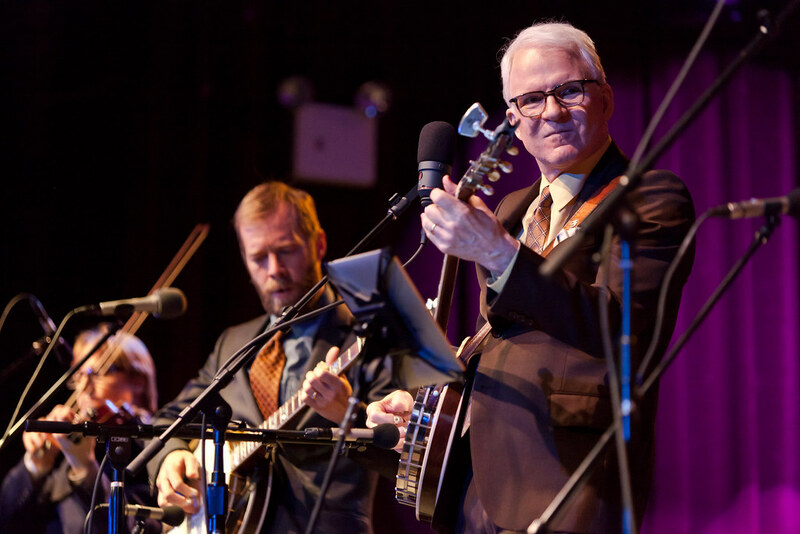 On Monday, he played the first of several shows in New York City with the Steep Canyon Rangers at the Highline Ballroom. And he pulled off a fantastic and very funny show. I photographed the show for Time Out New York (you can see a brief write-up at their music blog the Volume. It was my first time at the Highline Ballroom and I liked the intimacy of the venue. For more photos see this set on Flickr. Or continue below the fold for a shot of Steve with his iPad setlist.